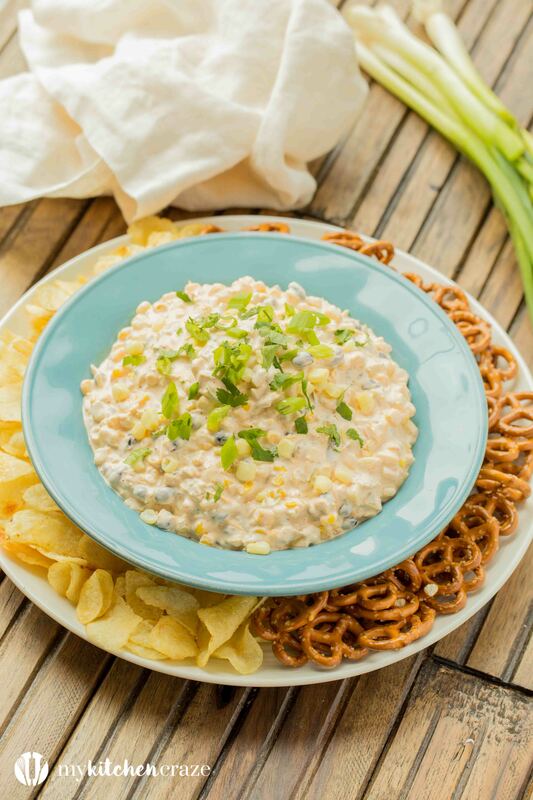 Spicy Corn Dip ~ Loaded with all kinds of yummy ingredients, this dip is perfect for a fun party or family day! 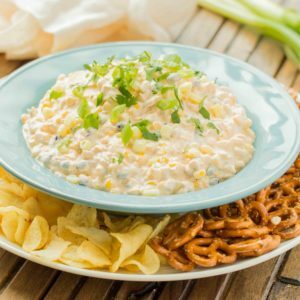 Everyone will love this dip! I know I’ve talked about football before and I’m sure you all know that I’m not a huge fan of it. I’m more of a soccer girl, but I’ll always cheer on my dad and mom’s favorite teams. It’s a known fact that I don’t watch football, but if mom or dad’s teams are on, then the hubby and I love to watch. My two favorite things about football Sunday’s are the family/friend time and of course the food. I’m a big snacker, so football appetizers are my kind of food. I could snack all day on food and be one happy girl. Oh and of course scream and yell at the tv a little bit to cheer the teams. With the big game coming in the next few weeks, I needed to come up with an appetizer that I knew would win over all the guests. 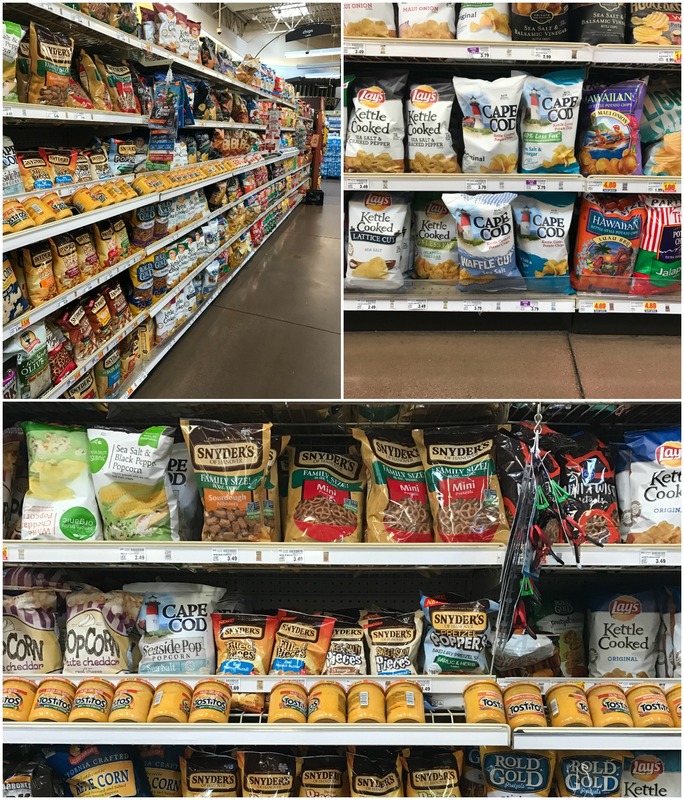 So, it should be no surprise that while I was shopping at Smith’s grocery store (Kroger) last week I happen to wander the snack isle. 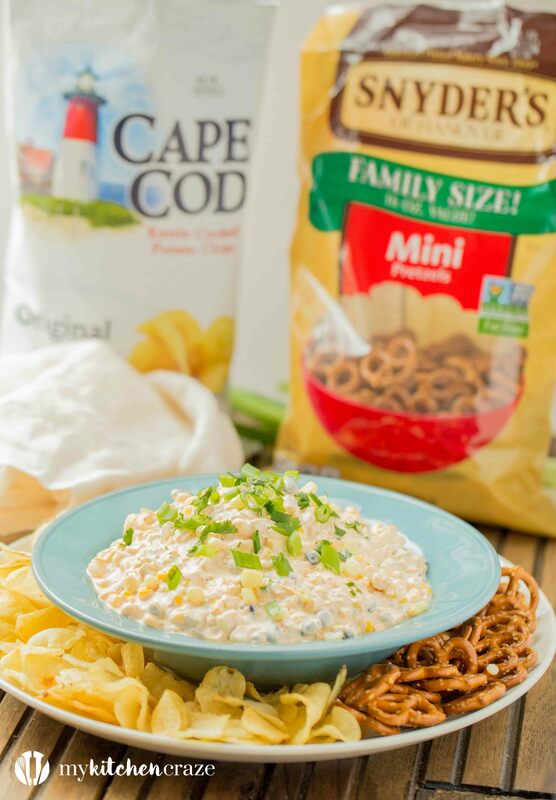 While I was browsing around I saw the Snyder’s of Hanover® Pretzels & Cape Cod® Potato Chips and knew my appetizer needed to include these two yummy foods. We always have these pretzels and chips in our house, so I knew that what ever appetizer I made, these two would pair perfectly with them. Have you ever tired these? If not then you’re seriously missing out and need to try them ASAP! It’s no secret that Sean and I love spice. 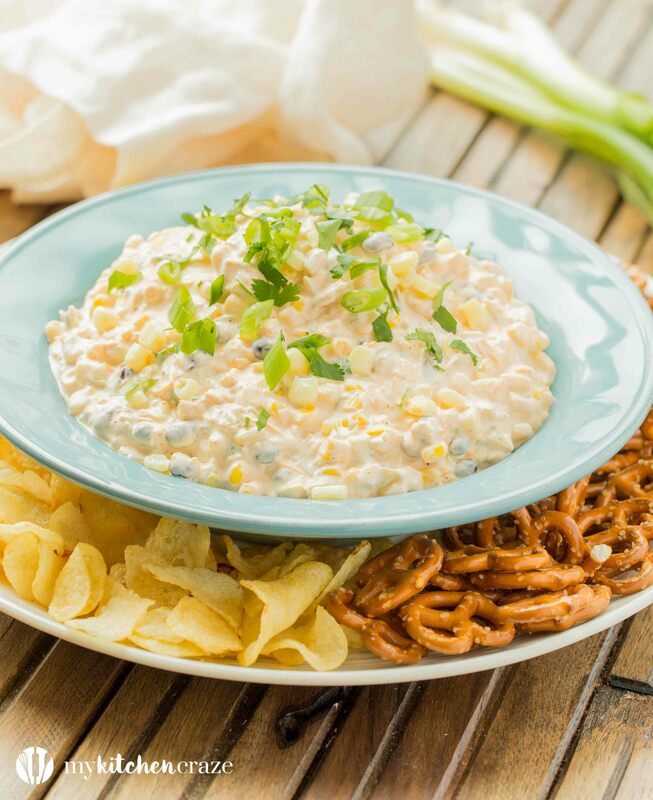 In fact we love it so much that I wish I would of added more jalapeños to this dip. I couldn’t because my little girl can’t handle the heat just yet. I got this recipe from a family member a while ago and I adjusted it to our taste buds. It uses a handful of ingredients and only takes a few minutes to throw together. In fact I’ve made this appetizer in the morning and it’s ready by the afternoon. Don’t you love when an appetizer only tastes a few minutes to make and minimal dishes too. That’s my dream come true. I hate dishes, so if I can whip something up with hardly to no dishes at all, then that is my kind of recipe. 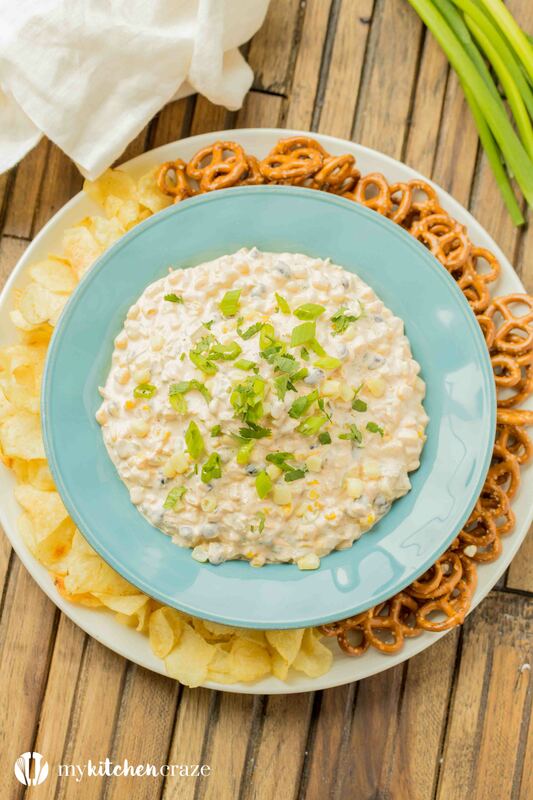 No matter what you’re doing for the game day, make sure you have this appetizer on hand. 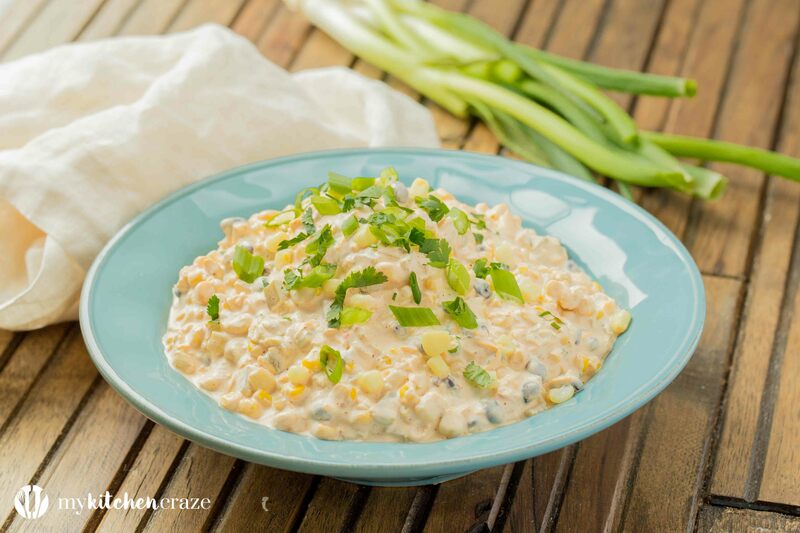 No matter what team is winning, you’ll win over your guests with this delicious Spicy Corn Dip. Go team!! Stir the corn, southwest corn, sour cream, mayonnaise, green onion, green chiles, black beans seasoned salt, chili powder, and minced garlic together in a bowl. Add the Mexican cheese blend, and stir until evenly mixed. Cover and refrigerate minimum 4 hours or overnight before serving. 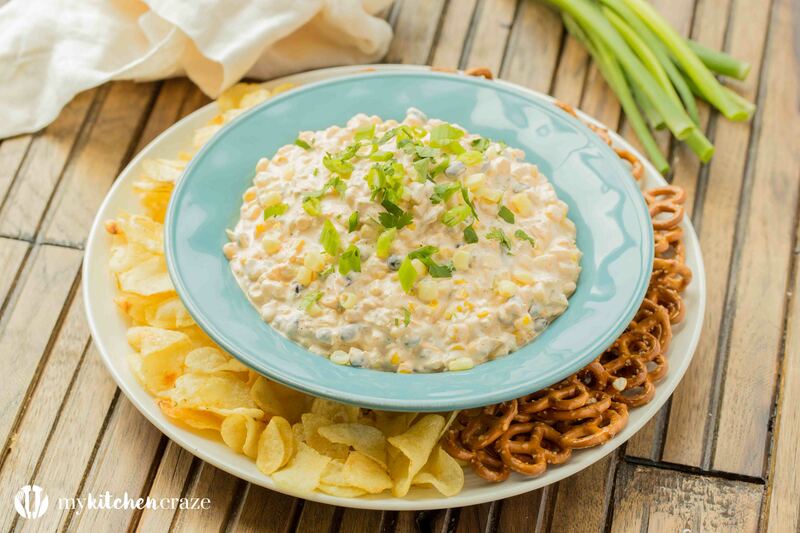 Place in a bowl and serve with Hanover® Pretzels & Cape Cod® Potato Chips.